Leaf Architecture was appointed earlier this year to work with a client who established the principle of planning permission on this site before our involvement but for a very different design which in hindsight they felt did not meet their requirements or maximise the opportunities of the location. After spending considerable time understanding the clients lifestyle needs and the sites general constricts we developed and design on the principle of three linked blocks – a service block containing garage, plant and ancillary, a one and half storey living block containing the principle living and bedroom spaces whilst the third block was a vaulted relaxation reception space. 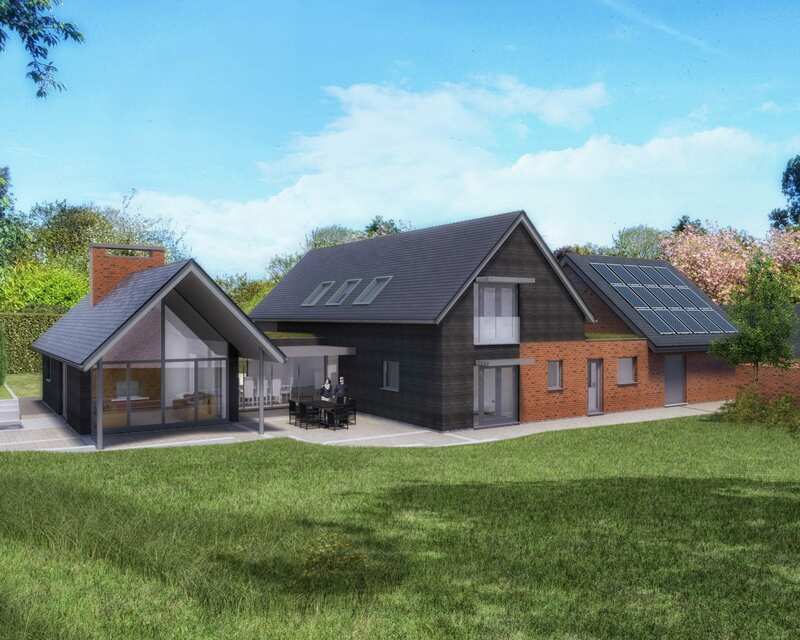 We worked closely with Low Carbon Box (renewable & passivehaus design consultants) and currently finalising the high performance timber frame supplier with a view to commencing on site in 2019.